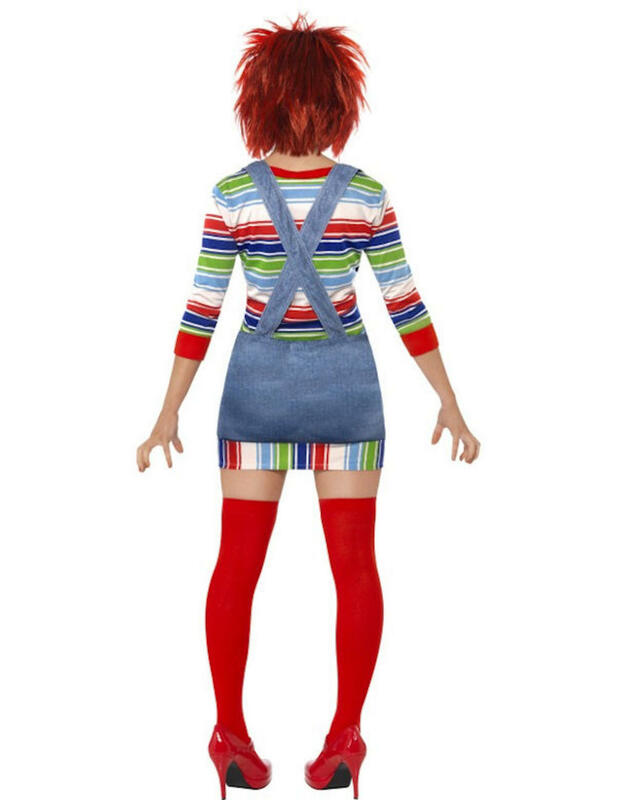 The horror film Child's Play has given us one of the most terrifying characters in movie history, 'Chucky' and now you can dress up in this Ladies' Chucky Fancy Dress Costume. 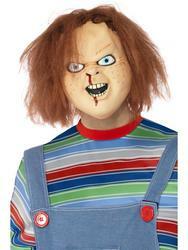 The film was launched in 1988 and is fictional story where a single mother gives her son a doll for his birthday, the doll turns out to be possessed with the soul of a serial killer Charles Lee Ray 'Chucky' and the horror begins..! 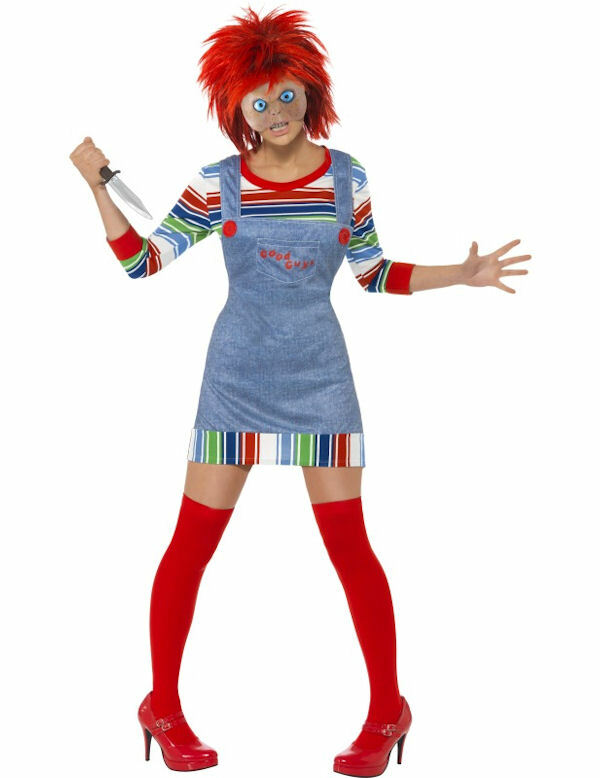 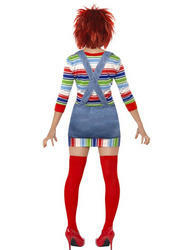 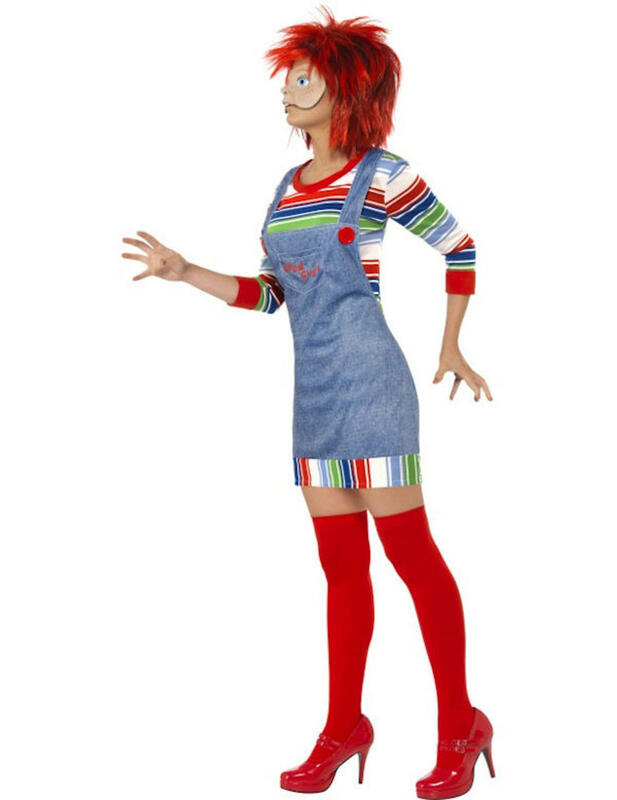 The ladies 'Chucky' outfit features a stripey dress with long sleeves, an attached denim pinafore dress with red buttons and a fantastic looking bright red spiked wig. 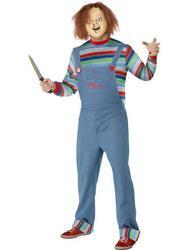 Completing the look is a half 'Chucky' facemask to give you a realistic doll like face. 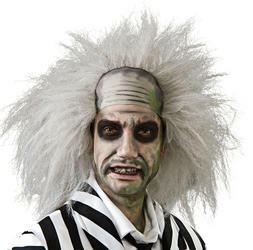 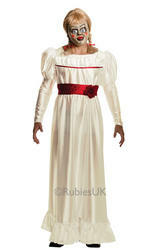 A totally terrifying costume for women who want to make a big impression at there next Halloween fancy dress party.